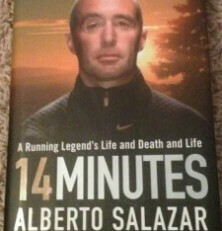 14 Minutes is the complete biography of legendary distance running Alberto Salazar. Although the title refers to the 14 minutes that he was clinically dead because of a “cardiac event” which happened just a few years ago, the book is the story of his entire life and career thus far. Overall, I enjoyed it thoroughly. I hadn’t ran a running book in some time and was looking for some motivation during this even harsher-than-most Michigan winter, and I definitely found it in this book. 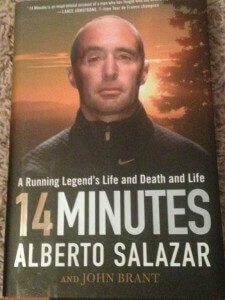 From a runner’s perspective, I was thrilled to read of Salazar’s early days as a high school phenom and his early training and experiences with training with Bill Rodgers and the Boston Track Club–I’ve never knew about this and it was definitely fun to read about Boston Billy from Salazar’s perspective and play by plays of his early training and racing days. It was also certainly fun to read about his first person perspective of his overall short but explosive marathon experiences. From just a historical standpoint, I also found much of Salazar’s family history quite interesting, specifically that his father was a close friend with Fidel Castro early on and then changed his views to the complete opposite later on, but always remaining extremely politically active. This aspect though, however interesting, was the low point motivationally for me. Although it was overall cool to read about, I found it rather long-winded and dragged the book on at these points and I kept finding myself wanting to read more about his running-life. 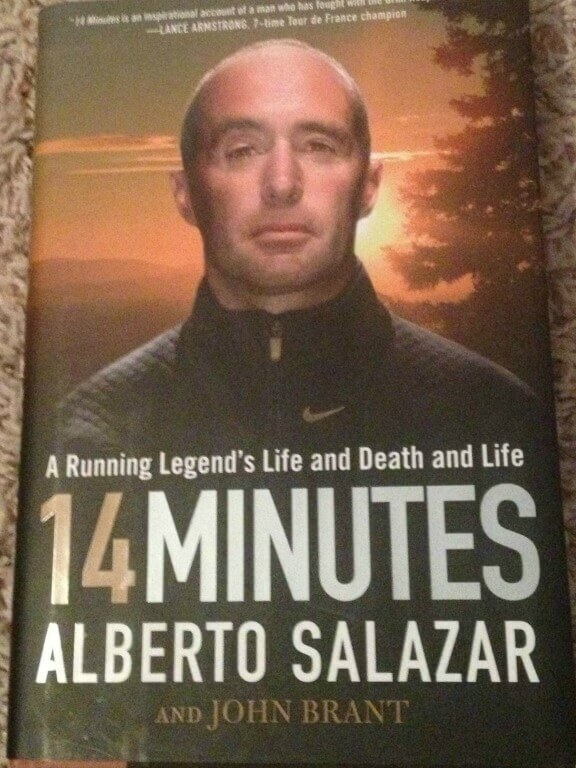 Lastly, the book gave some good insights into “The Nike” from Salazar’s perspective, through his many rolls there, including coaching. Again, I definitely enjoyed this book and I would surely suggest it to all a ya’ll!